Nika Garrett @myLondontours is a tour guide in London. She is also a volunteer at The Rose, a Friend and the Editor of Friends of the Rose Newsletter. 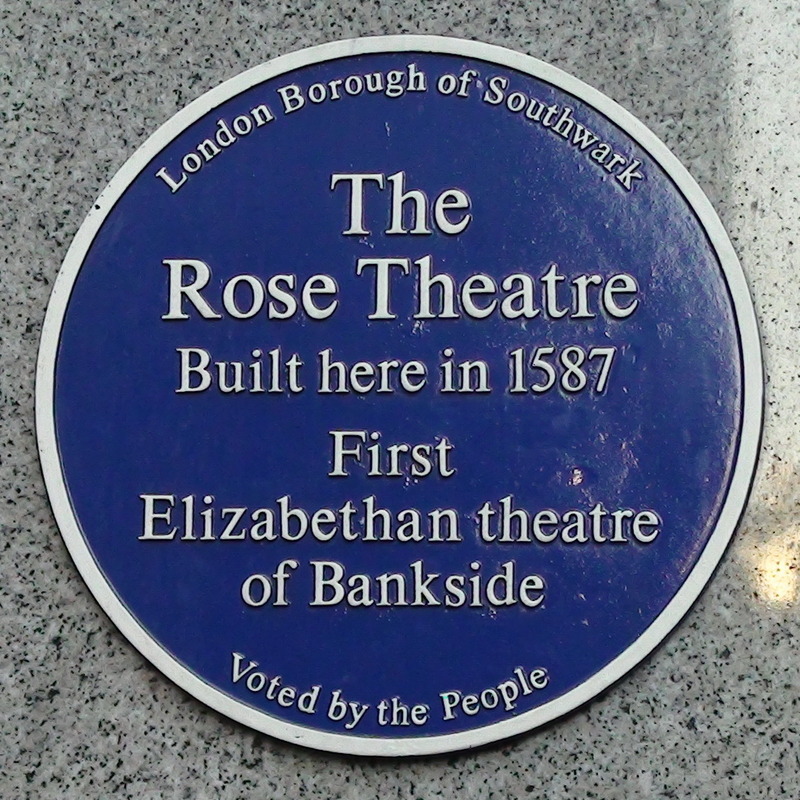 Take a walk along the Thames Bankside any time between 10am and 5pm on a Saturday and you may notice a sign to The Rose Playhouse. 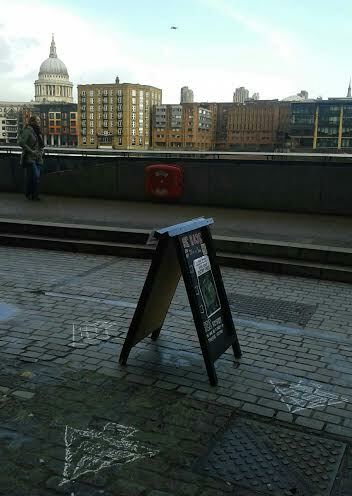 Follow the chalk arrows on the pavement and you will find the site of the very first playhouse built on Bankside in 1587. Spend some time here and you might just fall in love. Watch a short film about its unique history, listen to a talk about its present day as a theatre and its plans for the future. You may even get to enjoy some scenes performed from one of Shakespeare’s plays! A reconstructive cutaway view of the first Rose, by William Dudley. The Rose is a lucky survivor. It was rediscovered by Museum of London archaeologists in 1989 during construction of a new office block and the remains were saved thanks to a huge campaign. You can’t walk around the site though. Two thirds of the site were excavated but as the archaeologists were running out of time, the excavated part of the site had to be preserved and covered with water. The site was designated a Scheduled Ancient Monument by the government to protect it for the future. The Rose Theatre Trust was established in 1989 to preserve this unique playhouse and make it accessible to the public. Fortunately, in 2012 the Rose Revealed Project was awarded a development grant from the Heritage Lottery Fund to preserve the archaeological site of the Elizabethan theatre and to create a new venue that will be a theatre with a permanent exhibition and an education centre. The Project will involve excavating part of the site that couldn’t be excavated 25 years ago. It is exciting to think what can be found underneath! The Rose needs to raise funds, or promises of funds, totalling £3m. This unique archaeological site of an Elizabethan playhouse is of international importance. In order for the Rose Revealed Project to be successful and for The Rose to be saved, it needs your support. There are many ways you can help. You can make a donation, become a Friend and/or volunteer, spread the word and come to see one of fantastic performances. It is often a wonderfully interactive experience where you should expect unexpected. 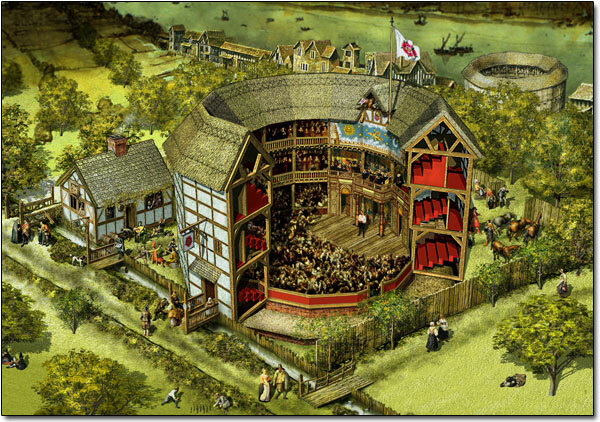 In April you will also have an opportunity to listen to a talk about The Archaeology of London’s Elizabethan and Jacobean Theatres while in June the Rose Playhouse will turn itself into an ‘opera house’. Visit the Rose Playhouse, Bankside on an Open Day every Saturday from 10am to 5pm. Find the Rose Playhouse, Bankside on Facebook and on Twitter.